In your kitchen, you should be sure to install safety latches on drawers and cabinets. This helps keep them out of the everyday household chemicals you use to clean your house and dishware with, and also keeps them from grabbing sharp objects such as scissors or knives from inside the drawers. It is best to use the back burners when cooking on the stovetop, and keep the handles of your pots and pans turned out of a curious child’s reach while cooking. Safety latches should be installed on drawers and cabinets in your bathrooms as well to keep them out of unsafe household cleaning products and medicines. Be sure to unplug any electrical appliance such as a blow dryer or curling iron directly after use and put it out of a child’s reach. Teach them early that water and electricity do not mix and that no electrical appliances of any kind should ever be immersed in or placed under running water. Toilet locks should also be used in homes that have small children to keep lids down. Young children are “top heavy” and can easily fall into a toilet if they lean in to play in it. Since a young child can drown in less than just an inch of water, it is imperative to closely supervise them in the bathroom at all times. Around your home, be sure to secure furniture such as bookshelves and heavy furniture that could tip easily to the wall using brackets. Use doorknob covers to keep them out of any rooms with potential hazards and to keep them from leaving the house unsupervised. Make sure any window blinds do not have looped cords on them as they can be a strangulation hazard to a young child. And always cover your electrical sockets with protective covers to keep small fingers from them and small objects from being inserted into them. Check out your home very carefully for any other potential hazards and address them without delay. 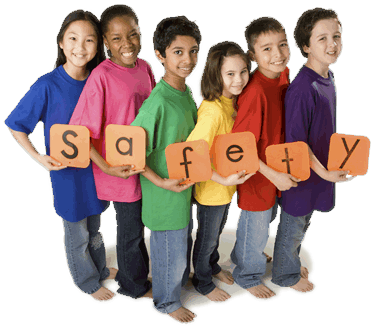 With these precautions and some common sense, your household will be a haven for your child and their friends.